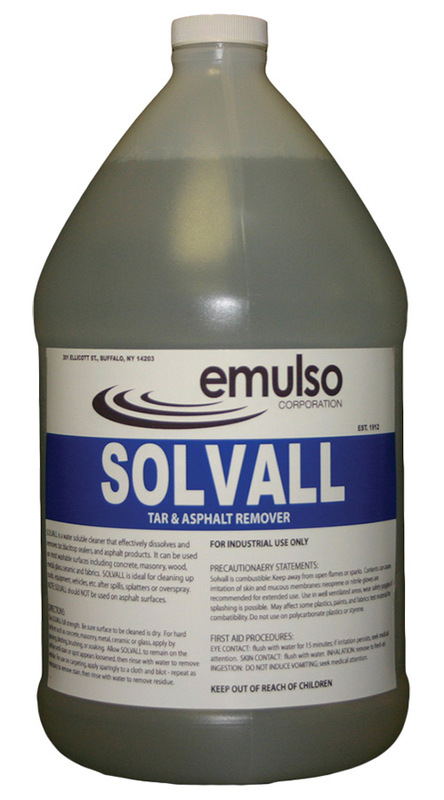 Solvall is a ready-to-use, water-rinsable liquid that easily removes coal tar sealer, asphalt sealer, crack sealer, roofing tar, mastic, tack coat, or oil and grease from washable surfaces. It can be safely used on tools, equipment, vehicles, sidewalks, flooring, siding, clothing and carpeting. Solvall will clean up fresh spills, splatters and over-sprays, as well as caked-on messes. 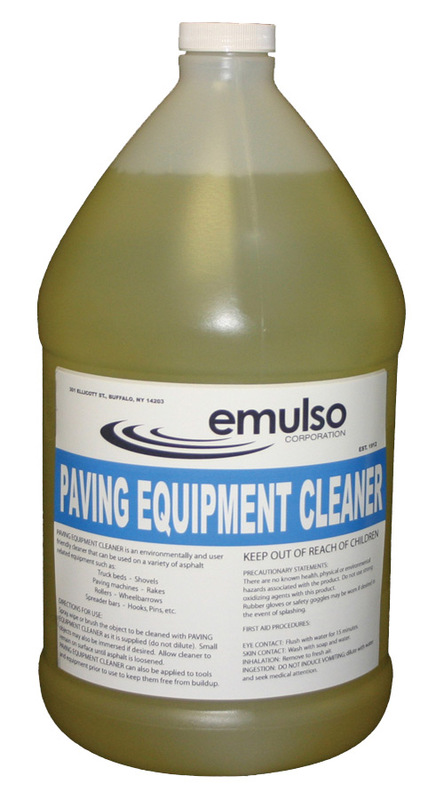 Paving Equipment Cleaner is a safe and effective substitute for diesel fuel to clean and prevent asphalt build up on tools and equipment. It starts to work immediately and is non-toxic, non-reactive, non-hazardous, nonflammable, and non-ozone depleting. Oil-Flo removes organic stains such as asphalt, tar, oils, tree pitch, adhesive stickers, gum, candle wax, silicon caulk, roof tar and more. 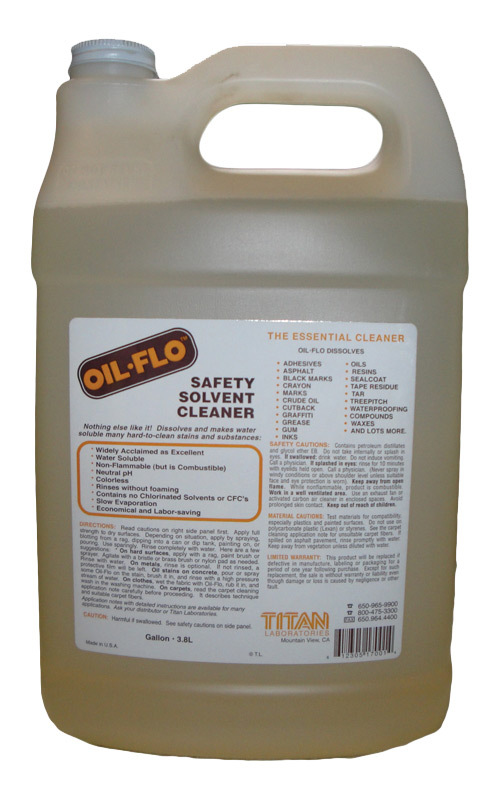 It is a versatile and effective cleaner that is safely used on glass, vinyl, concrete, metals, carpets and clothing. Non-volatile.